contaminants to be dislodged into the air we breathe. Lead was previously used in the manufacture of gasoline and other petroleum products between 1923 and 1995 in the United States, and previous testing showed that the roadside soil, especially in urban areas, contains very high levels of lead. The recent study, conducted and published by PhD candidates in several leading universities indicates that lead and soil become aerosolized when continually disturbed and airborne contaminants are more easily ingested by people who live in or near these heavily-traveled, large urban centers. Older inner-city areas are at particularly high risk for accumulations of lead and soil along roadsides, and this study is particularly alarming because it was previously assumed that urban public health risks were lessened by these contaminants stabilizing with age. This January 2012 study shows that these airborne contaminants are in fact re-suspended, making them more readily breathed in and absorbed into the bloodstream, potentially leading to lead poisoning. The studies further showed the most re-suspension of particulates is during busy travel periods, such as holidays and weekends. This study has implications for the United States as well as other industrialized nations that prior use of lead-containing petroleum products will have a long-term effect on at-risk populations, particularly in urban areas, and monitoring in conjunction with remediation will most likely be an international endeavor. HazCom 2012 Monumental or Manageable? We've Got a Plan! I have seen no less than 20 emails inviting me to webinars that will help me get my house in order for all the changes coming with the OSHA Hazard Communication Standard this year. From the tone of these emails, it would seem like the sky is falling! You know what? The sky is not falling … although there is work to be done to implement the changes. 90,000 workplaces = the number of sites that produce hazardous chemicals in the US. HazCom 2012 requires these manufacturers to. 43 million US workers = the number of workers in the 5 million facilities that will be notified of the new physical and health hazard classifications for the chemicals in their workplaces by new labels and Safety Data Sheets communicating these hazards. With a plan … these tasks are quite doable! Chemical Users: Continue to update safety data sheets when new ones become available, provide training on the new label elements and SDS format and update hazard communication programs if new hazards are identified. Chemical Producers: Review hazard information for all chemicals produced or imported, classify chemicals according to the new classification criteria, and update labels and safety data sheets. On April 25, Emilcott will be presenting a HazCom 2012 Webinar for anyone interested. Our approach—let’s not try to alarm everyone, but let’s provide a basic understanding of the changes made to the standard and a simple plan of action for employers to meet the regulatory requirements within the specified time frames. Would you like to join us? Have You Leaped Over Your HazWOPER Annual Refresher Training? Its leap day!! If you are born on a February 29 th, then you will really only celebrate your birthday once every four years. What if you took a 40-hr HazWOPER course that ended on February 29 th or an 8-hour HazWOPER refresher training on leap day? Does this mean that you only have to celebrate your refresher training once every leap year? OSHA would say no as the requirement is for ANNUAL training. But what if you havent taken your HazWOPER refresher training since the last leap day? What would OSHA think (or cite!) during a records inspection? an individual who has been away for three or four years, the employer may determine that, while repeating all of the training materials in the initial course is not warranted, more than eight hours of training would be required to refresh the employee's knowledge and skills. When was the last time that YOU attended an 8-hr HazWOPER refresher training course? Was it within the last 12 months? Here is a handy table we recently created for our clients  a gentle reminder to get organized! Even if you miss a deadline, its better to start playing catchup as soon as you find out that you are not in compliance. "Where the eyes or body of any person may be exposed to injurious corrosive materials, suitable facilities for quick drenching or flushing of the eyes and body shall be provided within the work area for immediate emergency use." If you are working with or storing corrosive materials your facility must have such installations. Like a fire extinguisher on the wall, you hope you never need an emergency eyewash station, but youd better be able to get to it and it had better work when there is a need. Its important to know that chemical burns and damage start immediately upon contact. The sooner the rinsing starts, the less damage will occur. The main function of rinse stations (portable or fixed) is first aid, and it is only step one. Immediate and appropriate medical treatment is the next step -- whether it is calling 911 or transporting the injured person to the nearest medical facility. Someone from your facility, preferably a manager, should stay with the injured worker and have a copy of the MSDS and any incident information that could be helpful to the medical personnel. Do area workers know where emergency eyewash and shower stations are located, AND how they operate? Are the stations accessible? Not blocked or obstructed? The route to all flushing stations must be clear and the locations boldly marked; could everyone get to a station when neededFAST and possibly without looking? Has the equipment been inspected and tested monthly? Has this been documented? Is the system plumbed with fixed piping? Or is it a stored liquid type? The former must be flushed and the latter must have its water supply treated so that it remains stable. Both must be capable of delivering at least 15 minutes worth of flow. Is the water at a comfortable temperature? While there are many products on the market, we recommend the Speakman Gravityflo® Portable Eyewash & Drench Station and use one as a training tool for students in our Hazardous Waste Operations / Emergency Response training courses. An important component in an effective HazWOPER (and all H&S) training program is the hands-on experience so that students know what to expect in the field. Instead of a slide on an eyewash station, we roll our portable unit to the front of the class or outside for the field exercise, show them how to use it and why it is critical for the eyewash station to be close, ready, and working in the event of an emergency. If your job function is near where chemicals are used or stored, you should know as much about your nearest eyewash station as our students do! Hazard Communication: Do You Know What You Have the Right-to-Know? Do you have hazardous chemicals in your workplace? If you think the answer is no, are you sure? OSHA defines a hazardous chemical as one that presents either a physical or a health hazard. Many common and readily available products such as paints, cleaners, and other materials found in the workplace meet this definition. In fact, last year OSHA issued over 6,300 violations to companies that failed to comply with this standard. As we noted in a previous blog, non-compliance with the Hazard Communication standard was the third-largest source of OSHA violations in 2009 and 2010! If you are an employer, you have a legal obligation to provide a workplace that is free of recognized hazards and to communicate any hazards present to those in the workplace. In 1985, OSHA established the Hazard Communication Standard ( 1910.1200) to ensure, in part, that all workers have the "right-to-know" about the hazardous chemicals in their workplace. Records showing that all employees have been properly trained to understand the hazards, read the MSDSs and understand labeling and signs. In addition to the federal OSHA requirements for labeling, the State of New Jersey has specific labeling requirements for all vessels, piping and containers that contain hazardous chemicals. So, do you have hazardous chemicals in your workplace? Are you rethinking your answer? Are you keeping up with its requirements? When was the last time your HazCom Program was reviewed? Is your hazardous chemical list and MSDS collection up-to-date? Do you know what OSHA considers Hazardous? Is every hazardous chemical container labeled properly  even the transfer containers? Are ALL your employees trained about the workings of your HazCom program and the hazards of each chemical in their workplace? Now do you know the answer? Or, do you have more questions? If you are confused or intimidated, dont worry. A great resource is the Institute of Hazardous Materials Managers which certifies individuals as Hazardous Materials Managers (CHMM) and Hazardous Materials Practitioners (CHMP). These trained professionals must demonstrate various levels of knowledge, expertise, and excellence in the management of hazardous materials. And, there are EHS (Environmental, Health and Safety) experts like Emilcott everywhere  their job is to help companies stay in compliance with state and federal regulations while protecting employees. No matter what resource you find, just ask if they are experienced in developing Hazardous Communication programs. Not only will workers stay health and safety, youll see added benefits like prevention of property damage, reduced insurance claims and costs, and, of course, your company will not be cited for OSHAs third most-common violation! TMI: Is there such a thing as Too Much Information for environmental monitoring? It’s funny, let’s face it. Someone shares some tawdry detail about their personal life and we wince. TMI…please just keep it to yourself! We chuckle or shake our heads. In reality, information equals power. The more we know, the better decisions we can make. If we have only half the important details, we will make weak decisions. Let’s use some history to drive this home. Although the Allied Forces ultimately won WWII, overconfidence from the D-Day invasion and the quickness with which the Allies pushed the Germans eastward across France, caused Eisenhower to underestimate the tactical abilities and determination of Hitler’s army. This resulted in the disastrous Operation Market-Garden in the Netherlands and the Battle of the Bulge in the Ardennes. Because of lack of current data in the Market-Garden strategy, the Allies were not in Berlin by the end of 1944 as they expected. Instead, by December of 1944 the Germans had broken through into the Allies' line of advance in the Ardennes and caught us ill-prepared. Poor intelligence cost tens of thousands of lives. This is perhaps one of the most dramatic examples of “not enough information”, but it makes the point. Amazingly, with the communication capabilities of today’s wireless, cellular, Internet and other “instantaneous” technologies, many choose NOT to use this power to gather all the project information that they can get. Like an ostrich with it head in the sand, if they don’t know something, they feel that they don’t have to react or worse, be held accountable. This “ignorance is bliss” type of decision-making is often the primary reason people make the choice to NOT implement real-time environmental monitoring on construction and remediation sites. “If we don’t know that it’s dangerous, than it must be ok, right?” Sounds crazy, but it’s true! Using a modern and proactive approach, technology is available (right now) to continuously retrieve important and fluctuating intelligence about environmental field conditions. The information is gathered and immediately transmitted wirelessly to smart phones, PDAs, PC and laptops – all accessible by the Internet for all authorized viewers. And the data keeps rolling in throughout the project’s life cycle. What power! To be able to make an immediate decision (or better yet, a correction) from a remote location and save time, expense, and ultimately, human health. And what about the ability to review, store and retrieve project environmental data, which was collected over a period of time, for comparison or trending? Super powerful! This can only result in better planning. Adding better decision-making abilities to better planning capabilities should ultimately result in doing a better job, a cleaner site and healthier workers. Who wouldn’t want that? So the real question is, if an environmental monitoring system is NOT collecting reliable, real-time data, aren’t you really just making anecdotal decisions based on guesstimates instead of a foundation of actual data? Many historians feel that Eisenhower’s planning of Operation Market-Garden was anecdotal because it was based on what the Allied Forces experienced coming out of Normandy. It was certainly wrong. Historians also believe that what turned the war around was the unbelievable ability our forces had to assess the real-time intelligence they gathered as they were “living in the field of battle” to make tactical decisions and outsmart the enemy. If real-time, reliable data is available to help you make good, solid decisions, get it and use it. You will do a better job and make fewer mistakes. Information is power and you can NEVER have too much of it. How have you used TMI to develop a better project or framework? As a Certified Hazardous Materials Manager (CHMM) and a Certified Safety Professional (CSP) I often make recommendations to our General Industry clients in an effort to lift their game with dealing with hazardous waste. There are multiple layers of compliance issues related to hazardous waste handling, and, as with most regulations, a little education (TRAINING!!) goes a long way in understanding the game plan! The intention of this blog is to provide a brief discussion of the key regulations and their associated training requirements. well, just about everyone) needs to know! OSHA uses the term "general industry" to refer to all industries not included in agriculture, construction or maritime. General industries are regulated by OSHA's general industry standards, directives, and standard interpretations. Give me an R! Give me a C ! Give me an R! Give me an A! Whats that spell?! HAZARDOUS WASTE! 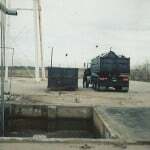 The Resource Conservation and Recovery Act (RCRA) appeared on the environmental scene in 1976 after Congress decided that people shouldnt be building homes on top of highly hazardous waste dumps or Farmer Joe shouldnt have a side business of burying industrial waste on the family farm. RCRA is a complex law with lots of parts and many industries are affected by its components. In addition to being complex, the text of the Act with all of its parts and sections is hard to follow. My primary technical focus tends to be on the Generators of Hazardous Waste (40 CFR Part 262) . RCRA Training requirements for generators can be found in 40 CFR 262.34(a)(4) which conveniently (NOT) refers you to look at 40 CFR 265.16 on Personnel Training. But the EPAs RCRA law is not the only player when it comes to the game of shipping hazardous waste off your site. The other major player is the Department of Transportation (DOT), and its Hazardous Materials shipping training requirements are found in 49 CFR Part 172, Subpart H. The International Air Transport Association (IATA) has rules for the air transport of hazardous materials ( http://www.iata.org/) including training requirements. To simplify, RCRA is all about Hazardous WASTE and the DOT and IATA rules kick in when youre dealing with hazardous MATERIALS, and guess what hazardous waste is? Thats right its hazardous materials in DOT and IATA eyes. For those who generate or ship Hazardous Waste, compliance for with EPA RCRA and DOT /IATA rules starts with required and effective training. So, if you generate hazardous waste and you need to get it off your site, here is a brief summary of the training employees who either generate or handle hazardous waste should have -- per both EPA and DOT/IATA. Properly identify what qualifies as regulated Hazardous Waste per federal (EPA) or your state requirements. Know where to properly dispose of any hazardous waste you may generate (I will give you a hint: Its NOT down the sink drain!). Know how to handle and dispose of highly hazardous waste (very toxic, reactive or explosive) to prevent injuries, and who to contact for questions or emergencies. The EPA requires annual refresher training for their regulations. The DOT requires refresher training every 3 years for their regulations. And, companies must ensure training for new employees or those newly assigned to the role within 6 months of their new post to be in compliance with both RCRA and DOT regulations . We can all help to ensure clean air, clean soil and clean water in our neighborhoods by understanding and following federal and state hazardous waste/hazardous materials regulations. When accidents happen (and they do), labeling, manifests, emergency plans  everything that DOT/IATA and RCRA training develops for your company  are vital in the cleanup of the environment and protection of employee and public health and safety. I have attended some incredibly mind-numbing courses over my lifetime. The worst course ever was in high school American History when we were taught about the FDR Years (1933-45) from an endless series of film strips with audio from a synchronized record. Recently, I attended a full-day, on-demand technical class that immediately transported back to that American History lesson. Needless to say, this comparison does not reflect well for this recent course. I find I dont take away much from a course that does not engage me. This could be because the topic is inherently dull, the material is presented in a monotonous or non-engaging manner, or I simply cant connect with the material or the instructor. Ive often joked that I am easily entertained (after all, I am a chemist by training! ), but dull, monotonous and distant often leave me with zero recall of the main points, and the details, well, those never seem to penetrate my numb mind! So, when I am asked for my thoughts on whether to attend an on-line or instructor-led HazWOPER training class, my immediate response is clear! It is CRITICAL to actually learn what is taught in these classes not just fulfill the OSHA requirement. Why? These workers will be working on a HAZARDOUS WASTE SITE, and the knowledge learned in a HazWOPER class allows them to appropriately protect themselves. Students in a HazWOPER class must be engaged in this particular occupational learning as the material is inherently dry and dull. The best way to imprint essential HazWOPER components such as risk assessment, hazard information, team emergency response and the practical learning, is from discussion, hands-on and group exercises. Training experts insist that hands-on training is the best way to learn! Would you SCUBA dive in the Florida Keys after completely an on-line SCUBA diving lesson (without ever handling the equipment on land or even in a pool)? When you call 911  would you trust an emergency responder that recently received CPR training on-line without any practice or instructor guidance? Would you lend your car to a friend who just learned to drive by completing an on-line driving class? If folks need to be trained to work as a team with a command/response structure  how successful can team training be when individuals are trained in isolation? How many other things do you do while you are attending an online course? Why the Emilcott Training Institute? Because you will LEARN and be prepared!! Emilcott offers quality HazWOPER health and safety training that prepares workers for the real world by keeping them engaged and interested in the materials! Our HazWOPER instruction combines classroom knowledge with interactive, hands-on activities, respirator fit-testing, individual and group activities, and a simulated, outdoor hazardous waste operation complete with what if scenarios and instructor guidance. The Emilcott 40-hour HazWOPER mock drill is chock full of what if scenarios such as unidentified hazards, nosy neighbors, health and safety incidents, decontamination exercises, use of instruments, and more. We film our mock drill and then evaluate the results in class. We have taught thousands of HazWOPER training classes  many of them for the US Armed Forces in the states and Europe. Our 8-hour Site Supervisor course concentrates on group exercises and managerial experience to reinforce essential skills needed to ensure the health and safety of the crew while getting project work completed without incident. We interview our students to ensure that the materials presented are as applicable to their job function as possible. Our annual 8-hour Refresher is revised each year to ensure well-rounded exposure for our repeat students. We train students, but we do not pass students who dont qualify! What is the importance of a good instructor? As HazWOPER instructors, their job is to review the OSHA-required materials in such a way that students can remember the materials and apply them to their job. Through a variety of media, discussions and exercises Emilcott ensures that our 24-hour, 40-hour or 8-hour HazWOPER class is as practical and hands-on as possible! As a CIH consultant with a family and other obligations, it is always a challenge for me to squeeze in occupational training. After all, time spent learning does compete with project work, and there are only so many hours in the week! With such a tight schedule, sitting in on a webinar or other type of on-demand learning is easier to squeeze into my schedule. Conversely, I also know that attending a course in a classroom with a qualified instructor is a far better option for learning and applying critical health and safety information that I will need on the job. As a result, whenever I have the option between online or instructor-led, especially for a dreaded or boring topic, the best option is to block out the time for classroom learning; my distractions are reduced, my attendance and alertness is required and, now that Ive set aside the time, my focus is on learning the most and maximize the opportunity. Have you ever taken an online, technical course? What were some of the distracting activities you did while learning? My personal favorites are cleaning up my email or wallet! Have you ever taken a technical course for multiple days and walked out of it remembering almost next to nothing and thinking, Oh, that was a waste! Has that experience affected your training selection process? Does DOT/IATA Training for Transportation of Hazardous Materials Prevent Incidents?